Get the Luck of the Irish! 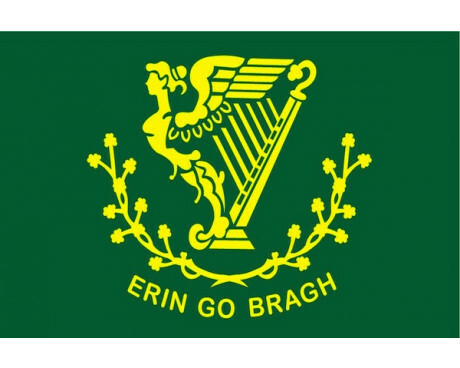 Find the perfect St. Patrick's Day Irish banner for every season and reason from Gettysburg Flag Works. 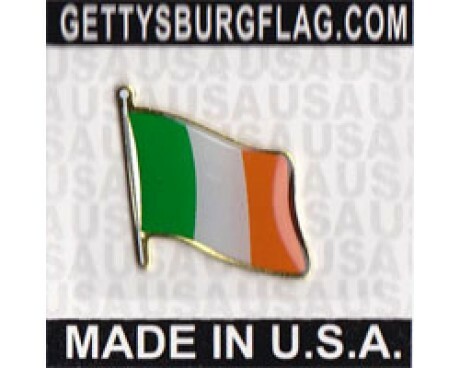 We offer many unique and one of a kind Irish items, most famously our Shamrock flags! Made right here at our Upstate N.Y. factory, our seamstresses handcraft your Shamrock flag from 200 denier all-weather nylon. 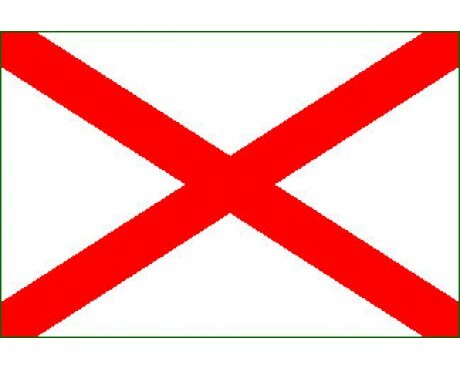 Our Shamrock flag is made like the Flag of Ireland: three panels sewn together, with an applique Shamrock stitched on top of the center panel. The shamrock is a well-known symbol of Irish Heritage, representing the luck of the Irish and trinity of faith. 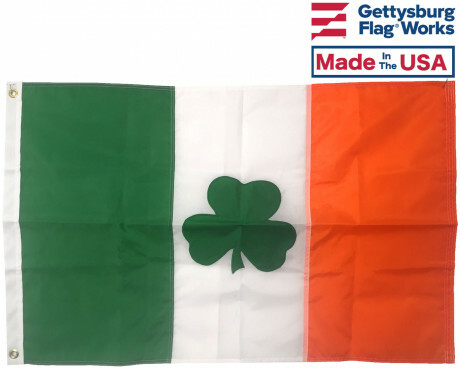 The Gettysburg Flag Works Shamrock Flag is well known for its own significant trinity: bright colors, durable construction and all-around value. 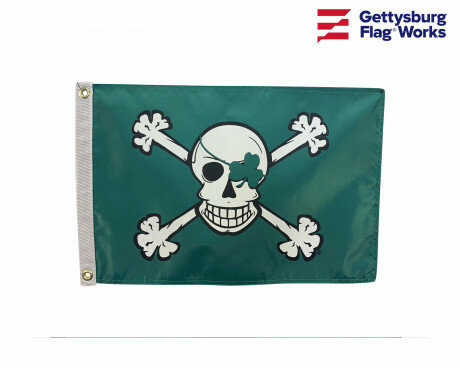 Embrace your luck and fly your Gettysburg Flag Works Shamrock Flag today! 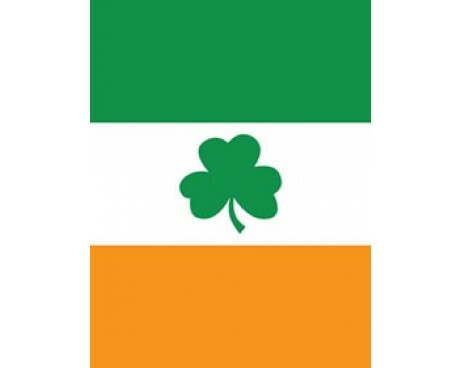 Looking for a different twist on a Shamrock flag? 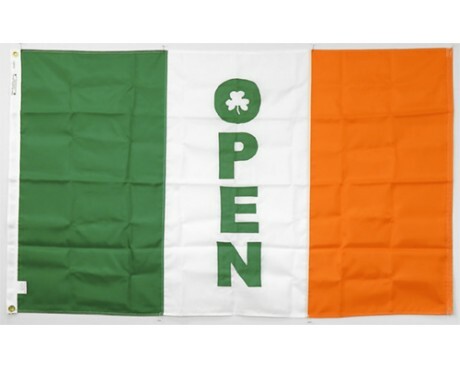 Show people that you are open for business with a nod to the Emerald Isle and opt instead for our Irish Shamrock OPEN Flag! 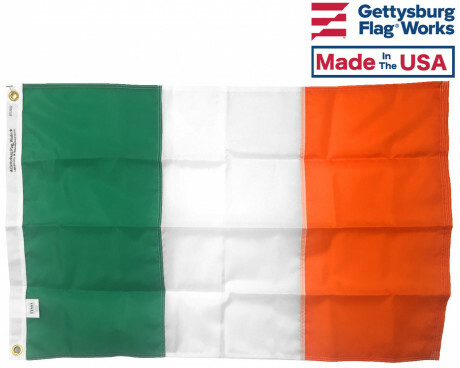 In addition to our Shamrock Flags, Gettysburg Flag Works also offers several varieties of traditional Irish flags including the International Flag of Ireland & the Erin Go Bragh Flag. 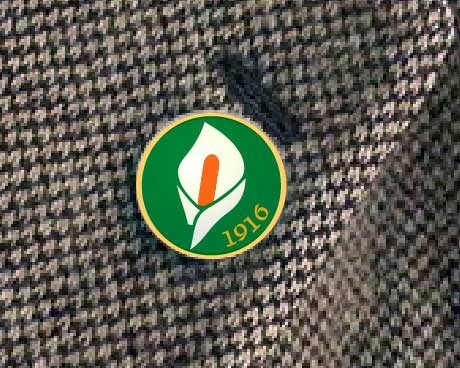 We're also proud to offer USA Made Irish Lapel Pins. 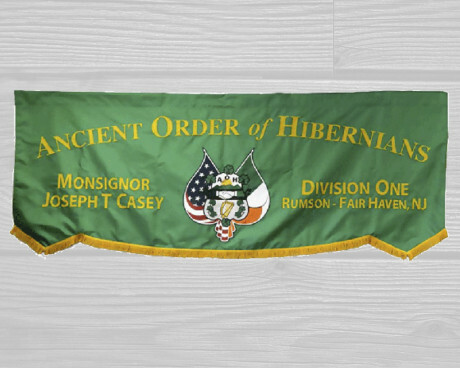 Some of our Irish banners shown are fully sewn, while others are printed, but each and every one will make you think of the rolling green hillsides of Ireland. 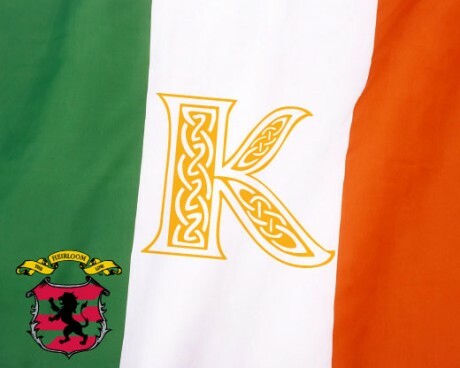 Our Irish banners are made from an all-weather nylon or polyester material and printed with rich, deep inks. 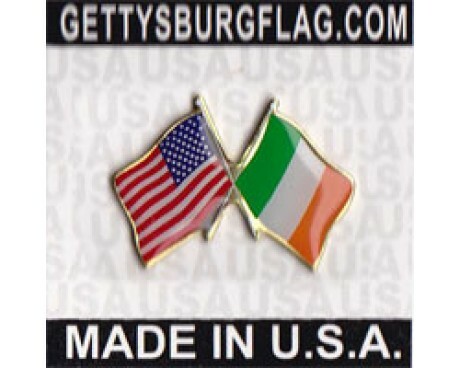 You can show off your Irish pride knowing that a Gettysburg Flag Works Irish banner is designed to impress! 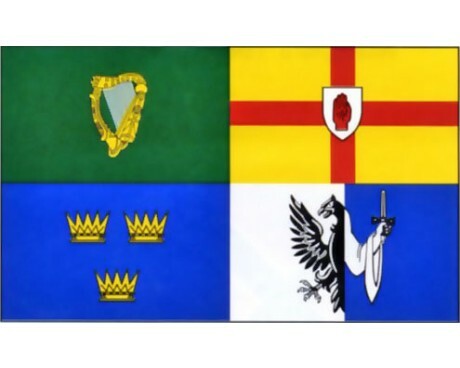 All the St. Patrick's Day Irish banners shown here have a sleeve at the top for mounting on a house pole (full size) or a garden stand (garden size). 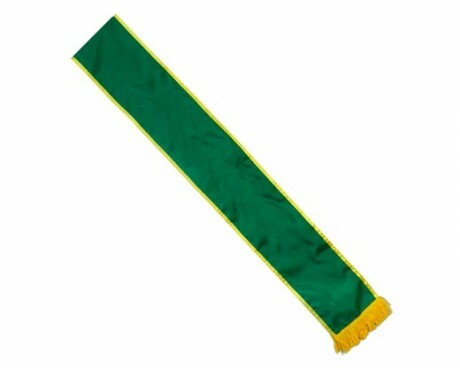 At Gettysburg Flag Works, we're also proud providers of St. Patrick's Day parade sashes. If you're looking for a way to make your parade group stand out, we've got you covered. Want to create a look that's all your own for this year's St. Patrick's Day parade? We also offer fully customizable parade sashes. Check out our collection of custom parade sashes. Learn more about the history of the St. Patrick's Day Parade here! 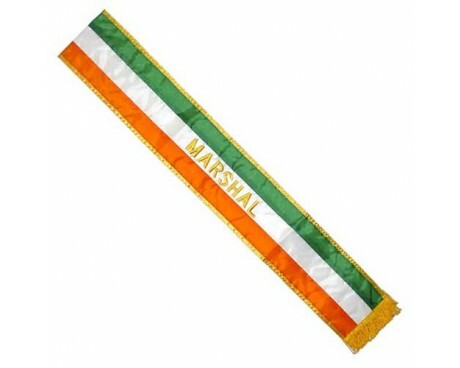 Show off your Irish flags and banners in style! We have multiple styles of brackets and flagpole hardware to choose from so that your St. Patrick's Day decorations truly look their best. 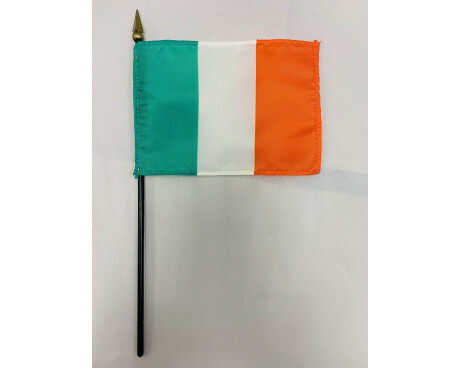 Need a flagpole to show off your new Irish flag? We carry those too, in many sizes and styles. Browse them here. Looking for something that you don't see? Give us a call at 1-888-697-3524 or fill out our quick and easy online contact form.